Let me share a little fun fact with you guys about myself: I LOVE Christmas, and especially love picking out the perfect gifts for all the people in my life. I shop year-round for the people I love, and usually have a stash of “oh, this would be perfect for [insert family member name here]” gifts come Christmas time. 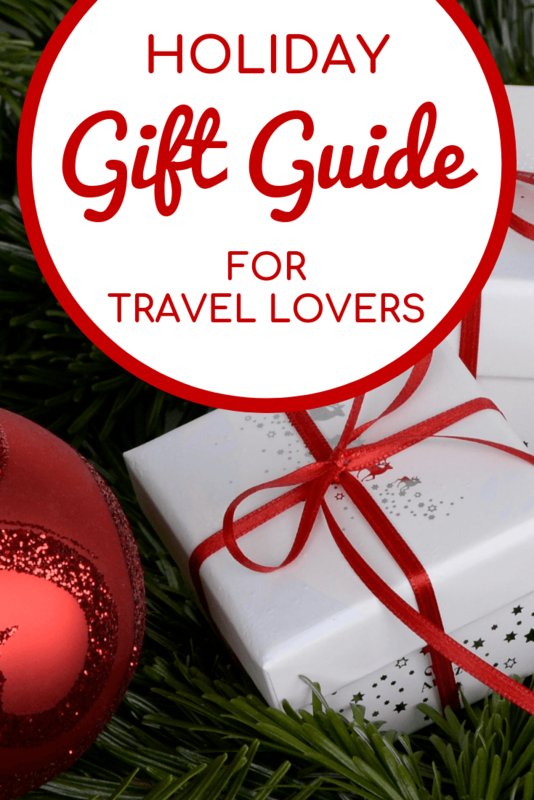 But if you've got a picky traveler in your life (or if you're like me and never seem to need or want anything specific around the holidays), this gift guide may help you find the perfect present. 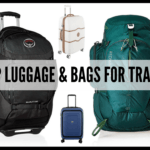 This list is full of items that I personally use and love, and that I think other travelers will enjoy, too. Most of them are things I've personally purchased – nobody has paid me to include an item here, so you can trust that the recommendations are real! 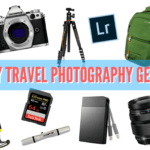 So, without further ado, I give you this year's edition of Akatuki's Holiday Gift Guide for Travelers (and Travel-Lovers)! For the past year and a half, I've been traveling with this – and I never fail to get compliments on it from other travelers! The bag is made with Pacsafe's signature slash-proof material, has lockable zippers to make it fairly theft-proof, and I love that it can easily transform from an over-the-shoulder purse on the plane to a perfect-sized daypack for daily adventures. I have an embarrassingly large amount of bags in my closet, but this one has become my go-to. If you prefer your daypacks a little less feminine, my husband Elliot and I have been loving our since we bought it earlier this year to take to New Zealand. This pack is small but mighty, and even has a pocket for a water bladder if you want to use it for hiking. I also LOVE that it comes in so many bright and fun colors! No gift guide or packing list would be complete without a mention of . I use packing cubes to organize whatever bag I’m traveling with, be it a carry-on-sized backpack, or a larger suitcase. I usually use about 3 cubes: one for tops, one for bottoms, and one for miscellaneous things like sweaters or dresses. This makes picking out an outfit SO much easier, since you don’t have to dig through every article of clothing in your bag. If you're traveling for business or maybe attending a conference and need to pack some dressier clothing, check out one of these . It will help you pack things like dress shirts (or dresses) in a way that will help ensure they won't arrive a wrinkled mess. My friends Kate from Adventurous Kate and Cailin from Travel Yourself launched a fun Amazon shop earlier this year with all sorts of travel-themed goodies. I bought their , and have had fun wearing it on a few travel days (as well as on the beach in Aruba!). They also have shirts celebrating , , and more. 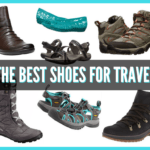 I'm always on the lookout for my next perfect travel shoe. I've found flats that I love, and also have go-to walking sandals. And now I FINALLY have a pair of sneakers that I adore. SUAVS makes shoes that feel and fit more like socks. My are soft, breathable, and flexible. I can throw them in the washing machine if they get dirty or smelly, and they take up basically no room in a suitcase. I also love that the company is run by women, which is an added bonus in my book! It's true: I'm a liiiiiittle bit obsessed with these from Speakeasy Travel Supply. Not only do they come in soft fabrics and cute patterns, but they also come complete with a hidden zippered pocket that's the perfect size for a passport, credit card(s), and some cash. These are perfect for travel days – just put everything important in your scarf, wear it like normal, and skip the part where you worry about your essentials getting stolen in-transit. 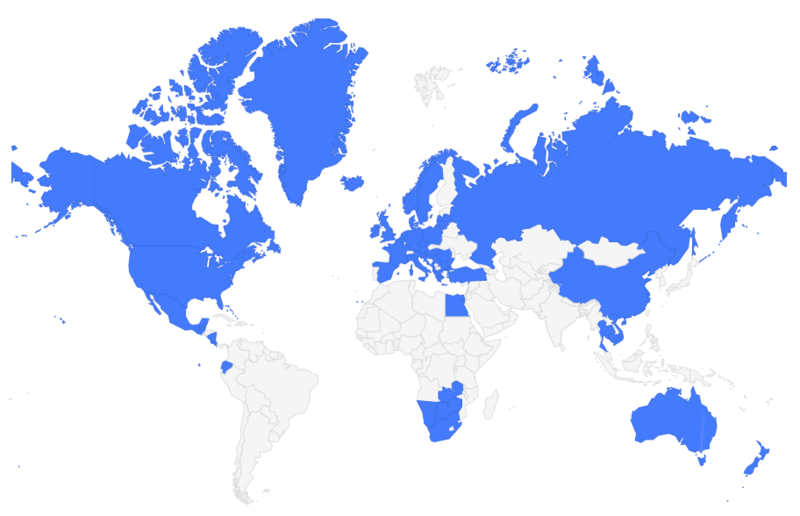 I've recently used mine in places like Egypt and Ireland! Sun protection is no joke, people. I've been on a quest for the past couple of years to find a packable sun hat that I love. And I've finally found one! isn't too big or floppy, it truly is packable (it holds its shape even when folded up in a bag or suitcase for days), AND it's affordable. It also comes in quite a few different colors to match any outfit. One of my most-packed items is my . This waterproof jacket has traveled with me to many countries on multiple continents in the last few years, and it still looks (and wears) like new. I can't say enough good things about this coat! And the great news is that they make the same jacket for women – yes, Elliot totally has one, too. I don't go ANYwhere without my Kindle these days. And the , in my opinion, is the very best Kindle out there. It has a built-in backlight perfect for reading on planes, won't hurt your eyes with screen glare, and has a battery that lasts for weeks. The newest version of the Paperwhite is waterproof, too, making reading on the beach, by the pool, or in a fancy hotel tub even better. I really love my Olympus mirrorless camera for traveling, but if you're looking for something even more compact and budget-friendly, is a fantastic option. It takes great photos (and video), still offers manual settings, and has a flip-up LCD screen perfect for taking epic selfies. I bought this camera to carry with me as a back-up, but I've used it exclusively on quite a few trips because it's so good! Okay, so the new isn't the cheapest GoPro out there, but the newest addition to the popular action camera line is truly amazing. The Hero 7 has a new stabilization mode called Hypersmooth that will really take your videos to the next level. Now you can go on all sorts of adventures and get smooth, professional-quality video without having to spend tons of money on expensive gimbals. I've used my new GoPro Hero 7 so far for snorkeling, off-roading, and wildlife watching and have loved the results. You don't need to spend $100+ on a fancy bluetooth speaker. This produces great sound at a really affordable price. AND it's small enough to easily throw in your bag on your next trip. This speaker has become a must-have on road trips – no need to worry about losing radio signal! Even though having a tripod with you at all times can lead to some epic photos (how do you think all of us solo travelers get those great selfies?? ), traveling with a full-sized tripod isn't always feasible. In cases where I'm not sure I'll really use my tripod, or on trips when I don't want to carry the extra weight, I'll often pack my instead. These tripods have bendy, magnetic legs that make them super versatile, and they weigh much less than a full-size tripod. If you've ever been frustrated with trying to use your phone plan abroad, consider getting a portable wifi hotspot like a . These portable wifi devices are SIM-free, have a long battery life, and allow you to only pay for the data you use. I have a Skyroam Solis, which I've used so far in countries like New Zealand, Iceland, and Scotland. You can either purchase or rent a Skyroam device, depending on how much you'll use it. My friend Jodi from Legal Nomads has designed a collection of from around the world. You can get a poster print, a tote bag, or even a t-shirt to represent your favorite foodie destination. I bought my mother-in-law the Italy food map a few years ago for Christmas, so I can confirm that these make great gifts! For travelers with a home base who want to show off their travels, scratch-off maps are fairly popular. I have one myself in my office! I like because it shows all the US states AND has all the world flags at the bottom of the map that you can also scratch off. Did you know that you can purchase prints of many of my travel photos through ? Because you totally can! Some of my most popular photos that people buy include on a beach in Scotland, , and in Canada in fall. One of the easiest things you can do to cut down on plastic use and be kinder to the environment when you travel is to take a reusable water bottle with you. I love my bottle – it's traveled around Africa, New Zealand, Europe, and the US with me! Speaking of being environmentally friendly when you travel… Plenty of places around the world are still using unnecessary plastic straws. If you're like me and plastic straws make you a little bit rage-y, pick up some that you can carry with you. These ones even come with brushes to make cleaning easy. I don't wear a ton of make up in everyday life, and sometimes find myself wearing even less on my travels. Which is why it annoys me when I have to pack a bunch of makeup for a trip, knowing I may only wear it a couple of times. This is where the small, travel-friendly makeup from comes in handy. They make travel-sized cosmetics like lipstick, mascara, eye shadow palettes, and more – and because these items are half-size, they're much cheaper than full-sized cosmetics! Their make great gifts at a reasonable price. This and surge protector ends up on almost every gift guide I write – but that's because I've never replaced mine after years of taking it on every trip I go on. It's perfect for hotel rooms with a lack of outlets, and great because it doesn't take up a ton of room in my electronics pouch. I also love that it has no cord/extra wires to get tangled up. My friend from Be My Travel Muse has launched a really cool online photography course called . It's not geared just towards bloggers/influencers, but instead is aimed at anyone who would like to up their travel photography game. Along with covering camera settings, night photography, and editing, Kristin also teaches you how to take beautiful photos of yourself – which is so great if you usually travel solo! And for those of you who ARE travel bloggers, I'm running a sale on throughout the month of November! My Partnership course teaches you how to pitch successful partnerships, secure sponsorships, execute campaigns, put together a media kit, identify brands to work with, and craft the perfect pitch to become a blogger that brands want to work with. My Affiliate Marketing course is an introduction to affiliate marketing for travel bloggers. You'll learn how to build a strategy, choose affiliate programs, and grow your affiliate marketing into a stream of passive income. Ancestry kits are all the rage these days, and make a fun gift for loved ones who are interested in learning more about where they come from. will be having sales throughout the holiday season, so it's a great time to get curious about your genealogy. If the travel-lover in your life doesn't really need another gadget or thing to take up room in their suitcase, why not consider giving them the gift of travel? There are lots of great travel sales going on this time of year. For example, my favorite tour company, Intrepid Travel, is always offering last-minute deals on popular tours. I can vouch for Intrepid; I've been on 7 tours with them all around the world, and have enjoyed every one. Affordable tours I can personally (and very highly) recommend include their 10-day Vietnam Express Southbound tour, their 12-day Egypt Experience tour, and their 8-day Land of Belize tour. Or you can check out all their , which include brand new trips to places like the Azores, Uzbekistan, the Seychelles, and more. I’ll definitely check out the SUAVS. They sound like comfy shoes! The Joby GorillaPod will definitely be on my wishlist this year, sounds handy! I love my SUAVS! I’m actually thinking about getting another pair, because I wore my pink ones so much in just 2 months! Such interesting selections! I’ll take one of those scratch-off maps, thank you. They’re great! I have mine in my office, and it looks very nice on the wall! Awesome list! I just put together a travel gift guide of my own over at . Would love your thoughts on it! We have a few items in common. But I missed those awesome food maps – so cool! How would love to see a video on YouTube of you packing your suitcase for a trip because I swear that Harry Houdini could not hold a candle to you when it comes to this kind of magic. Thanks for sharing all your ideas. You certainly have made my upcoming trip to Egypt much easier. You’ve also made my Visa card company happy 😜. Haha! My only “secret” is packing cubes, really. I roll my clothes up into those, and then it’s just an easy game of Tetris to make everything fit! I’ve gotten pretty good at only packing what I’ll wear, though, which does help save on space!